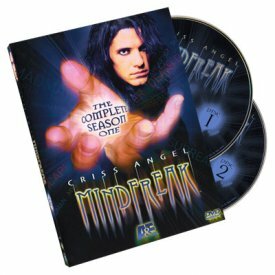 Watch HOUDINI and Other Great Magicians Perform on DVD...Then learn how to be a master magician yourself. Professional Magic but easy to do! This 'Legends of Magic Set' includes over 250 cool tricks to learn from such as magically escaping from chains, balls penetrating through solid cups, magically producing scarves, and make a rabbit appear and disappear from your own performance table. Simply enter your details below and we will send you an e-mail when “Legends of Magic (With DVD) by Fantasma Magic - Trick” is available to ship!